Easter is under attack! 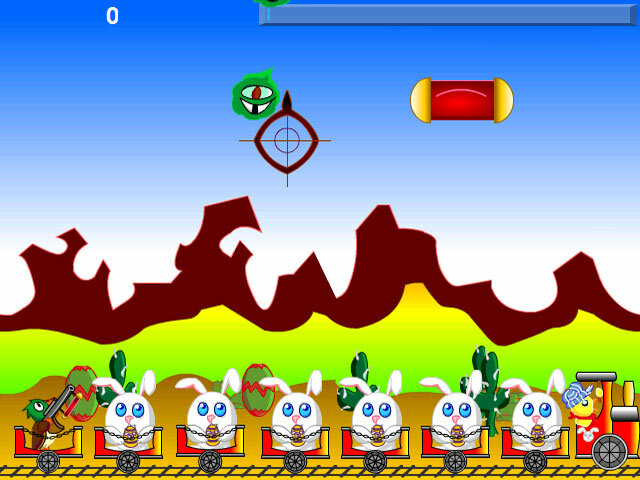 As leader of the Bunny Defense Force, you must board the bunny transport train and defend its fluffy cargo from the hostile aliens. Aim your gun using the mouse and click to shoot. 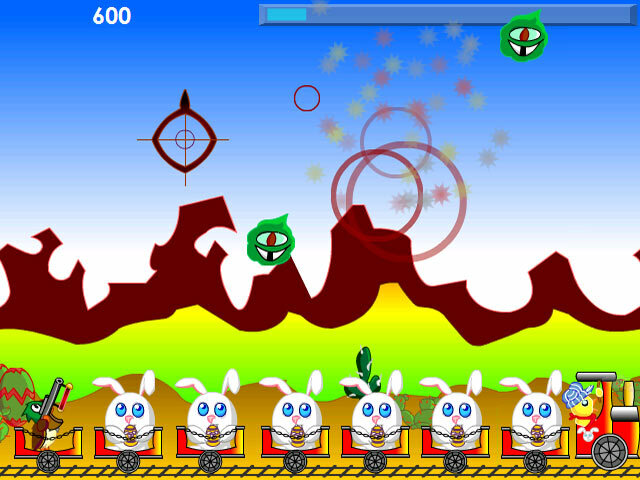 Hit aliens before they vaporize your bunnies. Increase your firepower by targeting the floating power-ups. Be careful not to shoot too quickly, or your gun will overheat! 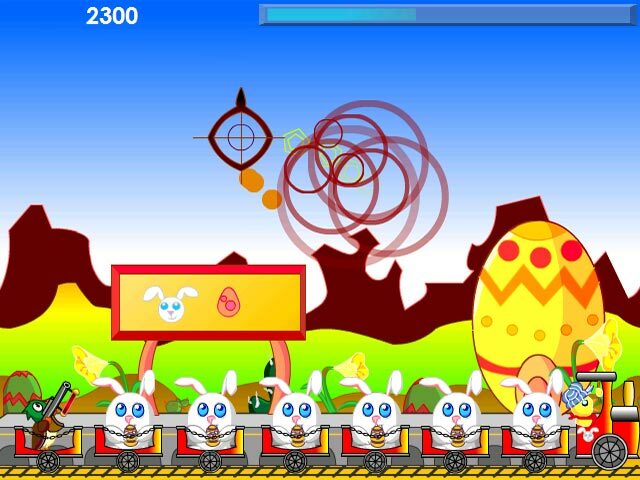 Lead the Bunny Defense Force to victory and ensure that no one goes eggless this year.